We in all probability don't know all the Pools in Valencia. Are you missing any? Contact us!. For Valencia and its vicinity, we're showing you all the registered pools, a few of them have no GPS coordinates and can't be found on the map at the map. Not all countries would be the very same, and swimming rules and regulations are changing from one country to the other. So, if this is your very first time looking for varieties of Valencia Swimming Pool (City), be sure you call the premises prior to you drop by. 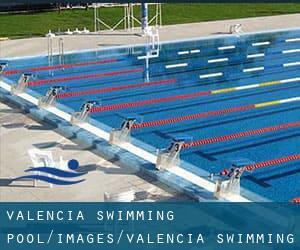 The ideal varieties of Valencia Swimming Pool (City) are situated mainly in big cities, but it is also easy to find public pools in rural areas. Traveling to Valencia? This is the perfect spot on the internet to find locations to swim in Valencia. Each day you might be not swimming you're losing precious time in improving your skills to be a far better swimmer! No additional excuses! Get your nearest Valencia Pool and tell us how it went. Are you on holiday and would like to preserve fit and healthy? Swimia.com offers you the painless and quickest technique to find Aquagym in Valencia near your present location. Updated on 2019 C/Sueca nº 25º1º B D , VALENCIA 46006. This sports center delivers wp_turia.png. Contact facts for this Swimming Pool for instance phone number and e-mail address are number. Updated on 2019 Calle San José , Benimamet , Valencia , Spain (Postal Code: 46035). This sports center offers 25 meters x 16 meters, 8 lanes, Indoors. Contact info for this Swimming Pool such as phone number and e-mail address are number. Updated on 2019 Camino Vera, 14 , Valencia , Spain (Postal Code: 46021). This sports center provides Olympic size, 6 lanes, Indoors. Contact information for this Swimming Pool for instance phone number and e-mail address are number. Updated on 2019 San Vicente de Paúl 10 , Valencia , Spain (Postal Code: 46019). Swimmers like you reported 25 meters, 6 lanes, Indoors. Unfortunately we do not have the e-mail address of this Swimming Pool, but we can give you the phone number. Updated on 2019 Avinguda de Pío XII, s/n , Valencia , Spain (Postal Code: 46015). This sports center offers 25 meters, 6 lanes, Indoors. For this Swimming Pool, only phone number is number here. Updated on 2019 C/ Alberique 18 46008, Valencia. This great and large sports center lets professional swimmers like you enjoy Olympic size x 10.5 meters, 5 lanes, Indoors. Additionally, within these facilities you can try 25 meters x 10.5 meters, 5 lanes, Indoors. Phone number and e mail address are number for this Swimming Pool. Updated on 2019 Calle de los Santos Justo y Pastor, 4746022 ValenciaEspaña. Swimmers like you reported 25 meters, 4 lanes, Indoors. Phone number and e-mail address are number for this Swimming Pool. Updated on 2019 Paseo de la Petxina, 42 , Valencia , Spain (Postal Code: 46008). This sports center offers 25 meters, 6 lanes, Indoors. Contact information for this Pool such as phone number and email address are number. Updated on 2019 Calle de Trafalgar, 34 , Valencia , Spain (Postal Code: 46023). Swimmers like you reported 25 meters x 12.5 meters, 1.6 meters - 1.8 meters depth, 1.6 meters - 1.8 meters depth, Indoors. Unfortunately we do not have the e-mail address of this Swimming Pool, but we can provide you with the phone number. Updated on 2019 Paseo de la Alameda, 21 , Valencia , Spain (Postal Code: 46010). Among all of the activities offered by the center, if you are considering swimming you might enjoy 25 meters, 8 lanes, Indoors. Just in case you want to contact this Pool before dropping by, we only know the phone number. Updated on 2019 Avda. Hermanos Maristas, 18 , Valencia , Spain (Postal Code: 46013). This sports center delivers 25 meters x 12.5 meters, 6 lanes, Indoors. For this Swimming Pool, only phone number is number here. Updated on 2019 Calle Camino de Moncada, 76 , Valencia , Spain (Postal Code: 46025). This sports center offers 25 meters x 12.5 meters, 6 lanes, 1.4 meters - 1.8 meters depth, 1.4 meters - 1.8 meters depth, Indoors. For this Swimming Pool, only phone number is number here. There are a number of alternative treatments to chlorination, with great advantages that make sure far better water excellent within the pool. One possibility may be the mineralizer, which purifies water naturally and significantly decreases the chemicals applied and maintenance time. Try Chlorine Totally free pools in Valencia. There are several reasons why you might want to choose a heated swimming pool in Valencia. The most important one relies on the importance of keeping the body temperature stable. If the water is as well cold, your body will try to warm it up and you will lose strength to swim correctly. One from the advantages of outdoor swimming in Valencia will be the possibility to sunbathe during the summer time season. Taking it with extra care, sunbathing is healthy because introduces Vitamin D into the body, so the right option seems to be switching in between indoor and outdoor pools depending on the season. Enjoy the best indoor pools in Valencia and don't worry about the weather. These facilities are open all seasons and you can enjoy a swim at the same temperature every day of the year. If you're tired of possessing eyes and irritated skin, acquiring a saltwater pool in Valencia may be the resolution. You need to know that the level of salt from these pools is well below the degree of salt from sea water, specifically they are talking about a tenth or less.